Buck along with a cousin and a friend of his made a special trip to Denver this past weekend to watch in person, the Denver Broncos first football home game for this season. Yep, football season has arrived once more. It sure was a long weekend for the girls and I but we survived and so did Buck especially since the Broncos won the game 39-38. Very close game! They won with seconds on the clock. It was only the first game so we shall see how well they play throughout the season. 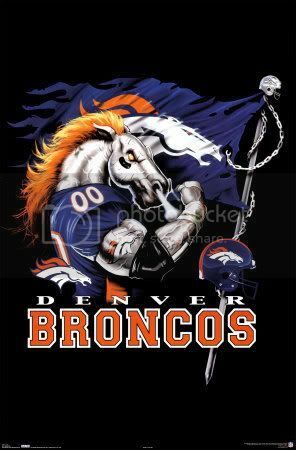 Please I do not favor the Broncos, I just support Buck's mistakes, because that's what wives do. Right! I am a Cowboy fan. Romo has my heart. Go Boys!!! !